Why do many retail books stores refuse to carry titles published by CreateSpace? In the never-ending battle between Amazon and the rest of the book-selling world, the fight has spilled over to small, mom-and-pop bookstores. These stores, as well as larger chains of books stores, have begun to refuse to carry any books that are published or distributed by CreateSpace. Why is that? Simple- because CreateSpace is owned by Amazon, and many blame Amazon for putting the smaller brick-and-mortar bookstores out of business. In an attempt to protest that wrong, many book stores flat-out refuse to carry any book published by CreateSpace. Many unsuspecting authors do not even realize this until it is too late. In the giant battle between Amazon, Apple, Barnes & Noble etc., it is best for an author not to align with any one particular side, but instead to get his/her book published by a publisher who has the ability to distribute books through all vendors- both digital and print versions. Check out Page Publishing for example- they are one of many such publishing companies. What type of revenue should I expect from the sale of a physical edition of my book? Most authors might not realize it, but when it comes to hard-copy editions of a book, publishers do not sell books directly to book stores. Instead, publishers work through an intermediary distributor/wholesaler. There are really only two such wholesalers in the entire United States- Ingram (the largest) and Baker & Taylor. When a bookstore wishes to stock a book on its shelves, it orders that book through the wholesaler who then in turn obtains the book from the publisher. For example, if Page Publishing is your publisher and a particular book stores wishes to stock 50 copies of your book on its shelves, it would place the order through Ingram who would purchase the book from Page Publishing at a wholesale discount- typically 55% off the retail price. Thus if your book is retailing for $19.95, Ingram would buy the book from your publisher for $8.98 and then sell it to the bookstore at a markup of 10% to 20% above that. As the author, you and your publisher are really only concerned with the price received form Ingram- it does not matter to you how much Ingram sells the book to a bookstore for, nor does it matter how much that bookstore sells the book to the public for. Your revenue is $8.98 before printing costs and commission or royalty to the publisher. Assuming a cost of $2.00 for printing and 20 cents to the publisher, your profit on this hard-copy book would be $6.78. Should I make my book available in both ePub and physical editions? This is a common question asked by new authors- should I publish my book in only ePub format or should I go the extra mile and publish a print edition as well? The answer is most definitely that you should print both editions if possible. While it is true that roughly 50% of all books sales now take place in digital format (i.e. downloaded to iPads, Nooks, Kindles, etc.) and this is an astounding number, it still means that the other 50% of all book sales take place in the print realm. Why would anyone knowingly forsake 50% of their potential client base? Some authors do because they are so persuaded by cheap-and-easy publishers who do not have the ability to distribute book sin print, and thus they urge the simpler (and cheaper) route of ePub only distribution. A true full-service publisher, like Page Publishing of New York City, will have an established print distribution network, and should be an authorized/approved publisher with Ingram or Baker & Taylor (the two leading book wholesalers in the United States). Don’t be fooled into accepting print distribution through Amazon alone. Amazon is great and they move a large number of print books- probably more so than retail book stores- book you still need retail books store distribution as well. Remember- your book deserves as much exposure and distribution as possible. Demand it all! 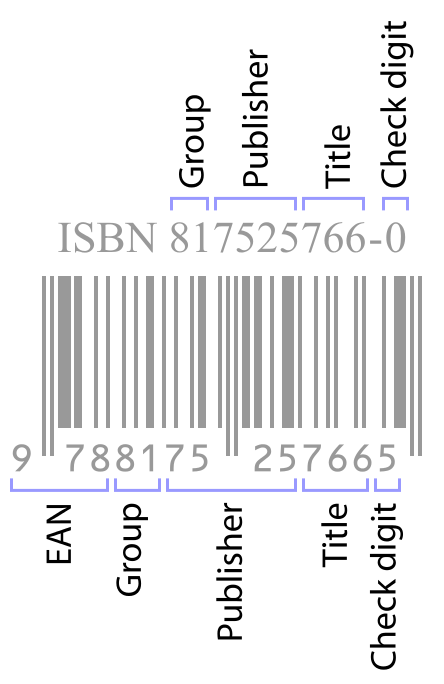 What is an ISBN and why do I need one? This is a commonly asked question. 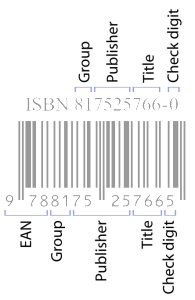 Quite simply, ISBN in an abbreviation for “International Standard Book Number.” An ISBN is a unique 13 digit numeric identifier for a book. By utilizing an ISBN, all booksellers can access information about any book by simply referencing the book’s ISBN. Think of it like a serial number or a social security number for a book. An ISBN commonly references the author of a book as well as the book’s publisher. In the United States, only one company- RR Bowker- has the ability to issue an ISBN. ISBN;s typically costs $125 each, and it is not uncommon to need two or three ISBN’s for one books, since each “edition” requires its own ISBN. Thus, if you are releasing a book in hardcover, softcover and ePub format, you will need three separate ISBN’s. Read more technical details here.